This is a guest post by Kirsty Russell from Positive Special Needs Parenting and Autism Family Travel. These days, it feels as if we are continually bombarded with all the things that are wrong or need to be fixed in our lives. As parents, we seem to be guided more by fear of what our kids can’t do than pride in what they can. 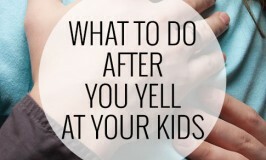 Parenting these days seems to be all about watching out for issues, dealing with perceived weaknesses and avoiding a whole of host of parenting no-no’s. I can’t help but think we’re looking at things the wrong way. 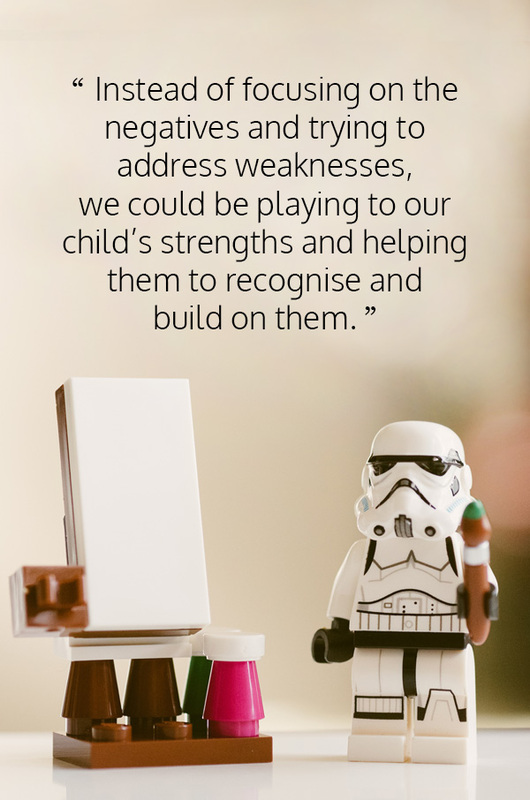 Instead of focusing on the negatives and trying to address weaknesses, we really should be playing to our child’s strengths and helping them to recognise and build on them. As a special needs parent, I’m used to recognising deficits and managing them. I’ve spent the last 14 years of my life helping my son deal with his diagnoses and find ways to navigate a world that’s not built for his needs. I’m very aware of all the things he can’t do and even more aware of all the things he should. However, I’ve also spent the last 14 years identifying his strengths and helping him build upon them. To be honest, if I’d spent that time solely looking at the negatives, I would have become demoralised. I suspect I would have become completely overwhelmed by all the things that he couldn’t do and would have given up on him making any real progress. Instead, I was determined to give him every opportunity to succeed, despite the obstacles in his way. To do this, I needed to turn my thinking around and look at what he could do, rather than remain fixated on all the things he couldn’t. I needed to focus on how I could harness his strengths so he could make progress, despite his many and varied diagnoses. This is the basis for strengths based parenting. 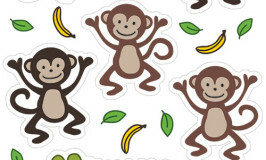 It’s the idea that every child has strengths that should be identified and cultivated. Instead of focusing on identifying and dealing with challenges, parents look at the natural strengths and preferences of their kids to cultivate a more positive and successful mindset. If our kids only hear the negatives, how are they going to grow up with healthy self-esteem? Changing our focus on what they can do, instead of what they can’t, cultivates a healthy mindset and gives them a much-needed boost in self-esteem. It teaches them to look for the positives and not get too caught up in their weaknesses. Concentrating on your child’s strengths will improve your relationship for the better. You will become more fulfilled as a parent through recognising their strengths and not constantly pointing out their challenges. Your kids will become more confident in themselves and in their abilities. Together, your relationship will become stronger, based on love, support and positivity. Practising a strengths based approach, will increase personal happiness, for kids and parents alike. Kids will feel more confident and capable in their abilities, leading to improved resilience and greater independence. Parents will also develop more confidence in their abilities, pride in their kids and belief in their own parenting. This is especially relevant for kids with a diagnosis or additional needs. Consciously looking for strengths and building on them will lead to more opportunities for them in future. Potential can be recognised and harnessed so kids can take up further study, after-school activities or pursue interests aligned to their personal preference. With anxiety, depression and other conditions on the rise, we’re all scrambling to give our kids the support they need to thrive, particularly through the difficult teenage years. Using a strengths based parenting approach will help kids and parents alike develop positive mental health practices and reduce the chances of mental health issues in future. With so many potential benefits, it makes sense that we embrace a strengths based approach to parenting, particularly, in these negative times. Think about it – who needs even more negativity in our lives? I know for a certainty, that without a strengths based approach, my son would not have achieved all he has. He would not be in a gifted and talented stream in a mainstream setting. He would not have had the opportunities he’s been given to advocate for his conditions. He would not have developed the same levels of confidence, resilience and independence. Strengths based parenting has been a game changer for our family – I hope it can become a game changer for your family too. Have you heard of strengths based parenting? Is it an approach you already follow or would be interested in following? 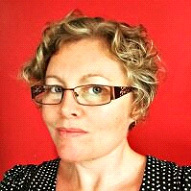 Kirsty Russell is a writer and mother of three kids, two of whom are on the autism spectrum. In between kid wrangling, advocating, chauffeuring, cooking, cleaning and interpreting, she shares her thoughts on special needs parenting at Positive Special Needs Parenting and shares her travel adventures with her family in tow at Autism Family Travel.